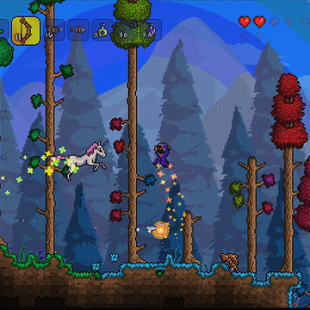 The portable port of Terraria will hit the Vita on December 4th. Back in March, 505 Games, the publisher behind the console ports of the indie hit Terraria announced that it also had a version in the works for the PlayStation Vita. Initially, plans had slated the game for a summer 2013 release. Sadly, summer came and went and Terraria was nowhere to be found on the Vita. That being the case, fans eager to play Terraria on the go may finally get their chance on December 4th. This new release date was spotted alongside a supposed ad for a PS4/Vita bundle also apparently coming to European markets in December. Assuming the game also comes to North America at the same time, this would leave us less than two weeks until its Vita debut. While there has been no official announcement confirming all of these details just yet, 505 Games has said that one is on the way. That being the case, we'd urge Vita gamers to leave some space open on their memory cards so they can be ready to get digging. If the the Vita edition is anything like past versions, we have a feeling we won't want to put it down.